Most of us are aware of the opioid addiction epidemic that has swept across the country over the past decade. It’s been the focus of countless articles. It’s the subject of increasingly desperate calls for action at the local, state and national levels, and rates of addiction and deaths from overdoses continue to rise. I live in Maine, a state that’s seen its young people ravaged by opioid addiction at a greater rate than nearly any other state. In 2015 alone, Maine saw its heroin overdose rate skyrocket by 31 percent, and according to a Centers for Disease Control study released in August 2016, Maine has the second-highest rate among 28 other states surveyed of babies born with a drug withdrawal syndrome primarily caused by exposure to opioids while in the womb. Only Vermont was higher. Though Maine has suffered from this at a greater rate than most states, it’s part of a growing national trend. 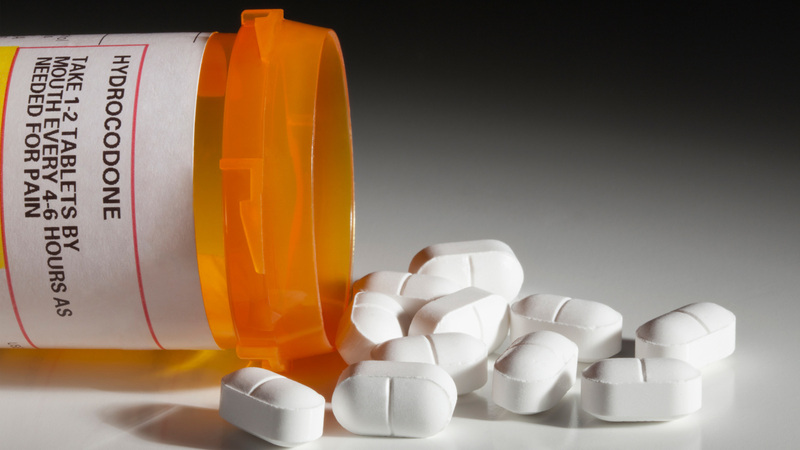 A new study published this week by JAMA Pediatrics by researchers from the Yale School of Medicine showed that children of every age group are increasingly being exposed — either intentionally or unintentionally — to opioids. The study looked at data from more than 13,000 pediatric opioid poisoning cases between 1997 and 2012. It showed that incidents of this nature doubled in those years for those aged 19 and younger, with rates among two distinct groups — older teens and toddlers and preschoolers — increasing at the highest rate. While only 14.4 percent of poisonings in 2012 were among toddlers and preschoolers, this age group saw the most dramatic increase in incidents, up 317 percent since 1997. Teenagers aged 15 to 19, specifically, were the hardest hit, with rates of opioid poisonings increasing over those 15 years by 303 percent, representing some 74 percent of all pediatric opioid poisonings. The majority of those poisonings came from prescription pills, though a significant percentage was from methadone and heroin. According to the researchers, heroin poisonings increased by 161 percent, while methadone poisonings rose by a whopping by 950 percent. It’s a scary thought — that both the innocent 3-year-old next door and the promising high school senior could both easily fall victim to the prevalence of opioids in our society, be they prescription pills like Percocet, Vicodin or Oxycontin, or illegal drugs like heroin. It’s easy to think that it doesn’t affect you if you yourself don’t have a problem. I used to think that, but here in Maine, it’s hard to avoid all the signs. I’ve seen needles on the side of the road while walking my dog. There’s an overwhelmingly busy methadone clinic next door to one of my favorite takeout spots. Just this summer, an acquaintance’s young son died from a heroin overdose. I had no idea there was even a problem. It’s easy to look at things like the recent images on social media of people passed out in their cars from pills, heroin or other drugs while their children sit in the car with them and be outraged. You think, “What’s wrong with those people?? and “She should be locked up!” and “I would never do such a thing.” It’s easy to blame the parents or grandparents. It’s easy to simply look at someone that is clearly suffering and point your finger at them and assume that their kids will become addicted too. But according to the JAMA Pediatrics study, the root of the issue among young people abusing opioids, intentionally or otherwise, isn’t merely bad parenting. The real issue is that there’s a systemic problem among all age groups in this country regarding the way we treat drug addiction, and while some strides have been made to combat the problem among adults, there’s still much work to be done among the youngest and most vulnerable. If you or someone you know is either addicted to or experiencing problems with opioids, call the Substance Abuse and Mental Health Services Administration helpline — 1-800-662-HELP — a confidential, 24-hour, English- and Spanish-language hotline for individuals and family members facing mental and/or substance use disorders. They can refer you to local facilities and organizations that can help. If someone is experiencing opioid poisoning or is overdosing, call 911. Most EMS services around the country have access to Naloxone, aka, Narcan, a fast-acting opioid receptor antagonist medication that can eliminate all signs of opioid intoxication to reverse an opioid overdose.